Everyone knows that curlers are the first in line to volunteer for worthy causes, not just in their own clubs, but in the wider community, too. 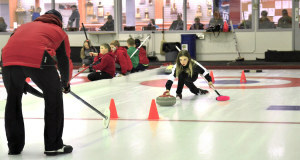 This season, a commitment to nurturing young curlers in the art of “giving back” was right at the top of the list for organizers of the Ottawa Youth Curling League. Remember the OYCL? 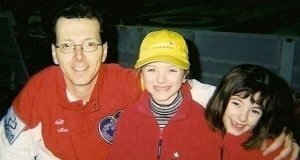 We profiled this fledgling league for young curlers on our website last May, sharing the story of its overwhelming success in the first season of providing sport development and competition to Ottawa-area curlers under the age of 18. 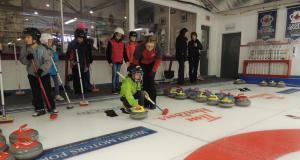 Young Ontario curlers aged 6-13 now have a new and exciting way to test out their curling skills as the Ontario Curling Association has announced its inaugural Hit, Draw & Tap Challenge for the 2015-2016 season. Curlers of all skill sets are invited to head down to their host club to test out their skills, with an opportunity to compete in a provincial championship event – on arena ice! Donors have had such an impact on curling in Canada in just a few short months! Canadian kids are being left out of traditional sports, especially girls, obese children, those with special needs, and kids from low income families. * We want kids to be happy and healthy for years to come. 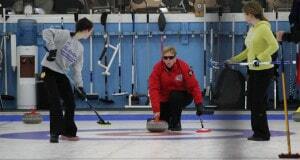 Here we are again, September of another curling season. 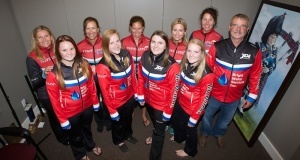 For most curlers in Canada, this season represents new beginnings. New teams and new dreams are forming across the nation, and my 2014-2015 squad is no different. 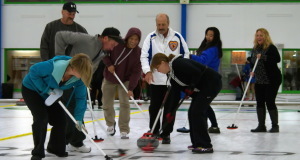 Juan de Fuca Curling Centre in Victoria, B.C., has found a number of innovative ways to attract and retain new curlers, thanks to some creative thinking and valuable partnerships with local businesses. Ontario’s Sherry Middaugh and her team are trying out a new way to thank team sponsors and give back to the sport. In 1963, curlers threw their first rocks down the ice at the brand new Dundas Granite Curling Club, and this fall, some of those curlers returned to this small Ontario town to help celebrate the club’s fiftieth anniversary. 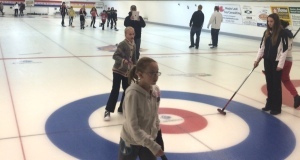 When the Fort Frances Curling Club replaced its aging physical plant with a new geothermal heating and cooling system in 2011, the benefits were noticed right away. And so were the high financial costs of such a significant capital investment. Finding revenue beyond membership fees is a concept that is sometimes forgotten when it comes to curling clubs. Corporate partnerships are great ways to find secondary sources of revenue, an opportunity that many clubs are missing out on. 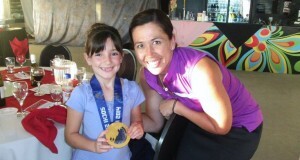 Heather Nedohin has been a top-level competitor for many years and is loved by fans everywhere for the emotion she shows on the curling ice. Last spring we connected with her to get her involved with the Rocks & Rings program and she jumped at the opportunity. As Team Newfoundland and Labrador was announced at the opening ceremonies of the 2013 Senior Curling Nationals, out walked best friends and teammates Geoff Cunningham and Rob Thomas, the reigning Canadian Senior Men’s Curling Championships silver medalists.